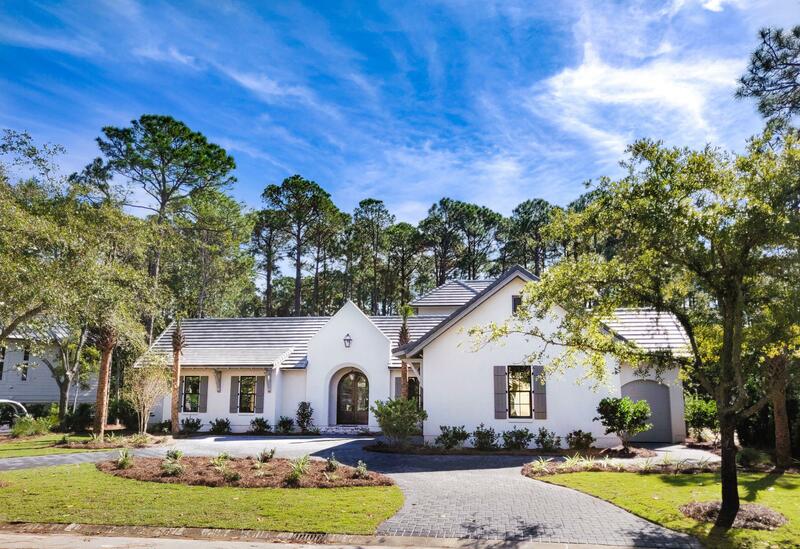 NEW HUFF HOMES OF FLORIDA HOME JUST COMPLETED in the Exclusive Gated Neighborhood of BURNT PINE AT SANDESTIN GOLF & BEACH RESORT. RARE NEW BURNT PINE Home will have 4 bedrooms 4.5 baths with a Pool and Summer Kitchen and a large screened porch. Private Master Bedroom Suite and a Guest Bedroom will be on the First Floor and Each Bedroom will have it's own bath. UPSTAIRS will have 2 Guest Bedrooms with Their Own Baths AND a Second Living Area. Open Concept Floor Plan with Hardwood Floors thru the entire house, High Ceilings, Quartz Countertops, Custom Cabinets, Stainless Appliances, 8 Foot Solid Core Doors AND a 3 car Garage. HOME DETAILS WILL ALSO HAVE BEAMED CEILINGS, BRICK AND SHIPLAP WALLS, CUSTOM FIREPLACE AND HIGH END APPLIANCES. Home sits on a Very PRIVATE BURNT PINE LOT.